One week on from the bombing outside the Courthouse in Bishop Street, Derry/Londonderry, detectives from PSNI’s Terrorism Investigation Unit have carried out a reconstruction tonight, Saturday 26 January, and issued a fresh appeal for information. Detective Chief Inspector Stuart Griffin said: “Last Saturday night (January 19) at around 20:10pm, Derry/Londonderry was packed with local families and tourists, socialising and enjoying the best of what the city has to offer when a bomb detonated outside the Courthouse. “This unbelievably reckless attack left children and adults in fear of their lives and caused widespread disruption to many people in the local area. It is only out of sheer luck nobody was killed or maimed. “Tonight at the exact same times that the terrorist parked the car, detonated the bomb and ran away from the scene, we carried out a reconstruction, handed out leaflets and spoke to many people in the area in a bid to jog people’s memories. "There has been widespread condemnation of this attack and this sentiment was echoed by the community when we spoke to them this evening. “The investigation is progressing and we have now recovered a suspected handgun in the area of Iona Court, which we believe was in the possession of one of the terrorists. “The people responsible for this attack have shown no regard for local people and businesses and today, I would like to make a number of appeals and ask the community for their help. 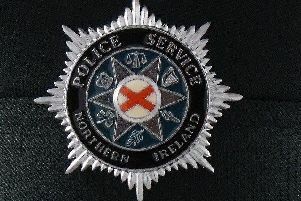 “I would like to hear from anyone who was in the areas of Quarry Street, Lecky Road, Barrack Street, Bishop Street, Nailors Row and Long Tower Court, last Saturday night between 6.00 pm and 9.00 pm who may have seen either the vehicle or the terrorists, including the man who abandoned the car and ran away from the scene? “Did you witness anything unusual or see any other vehicles in the area at that time? “Do you have any dashcam footage? “Were there any people in the area that you feel may be important to this enquiry? “Is there anything else you can tell Police that would help our investigation? “I believe the explosion was carried out by the New IRA. "We know that a number of young teenagers walked past the bomb right before it detonated and while they were not the intended victims, this clearly demonstrates that these terrorists do not care about the safety of those living in this community. "They don’t give a second thought to who they harm or the disruption they cause to local people and businesses. “I would also appeal to anyone who has any information about this incident to get in touch with police on the non-emergency number 101, quoting reference number 1204 19/1/19.